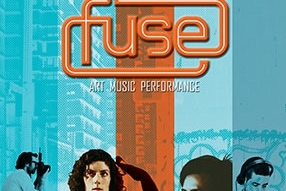 Win 2 tickets (worth $35) to FUSE at Vancouver Art Gallery! On November 9th, the Vancouver Art Gallery transforms into THE place for art, music and live performance in the city. Since its inception in July 2005, thousands of FUSE–goers have converged at the Gallery for this unique adult event. Live performances in the Gallery spaces, DJs, eclectic Gallery tours and unexpected surprises have made FUSE one of Vancouver's favourite event. Taking a cue from Ian Wallace's seminal series of works, FUSE celebrates the language of the street, through movement, music and performance in and around the galleries. 1. Share this post on your Facebook timeline. LIKE the BeeVancity page. 2. Follow @BeeVancity on twitter and tweet the following: "I just entered to win tickets to #FUSE @VanArtGallery! Thanks @BeeVancity!" Do all 3 things by Nov 8 - Thursday 3pm. Good luck!